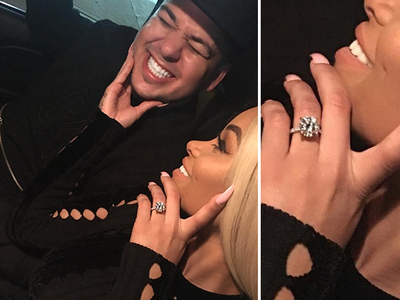 Rob Kardashian spared NO expense on Blac Chyna's engagement ring -- going to one of Kanye West's favorite jewelers and dropping $325,000 ... TMZ has learned. Sources connected to the couple tell us Chyna's rock is a 7 carat, round brilliant cut diamond. VS1 clarity -- in a VVS diamond eternity band setting. We're told Rob hit up celebrity jeweler Ben Baller in L.A. for the big score. Congrats, Blac Chyna! Here's your new workout regimen -- lugging this piece around. 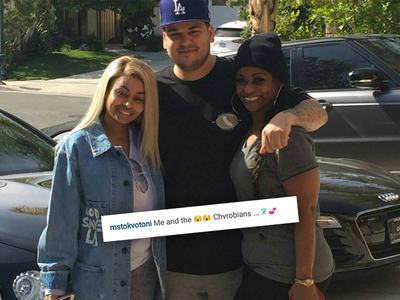 Blac Chyna's Mom -- I Want Rob to Be My Son In Law!! !